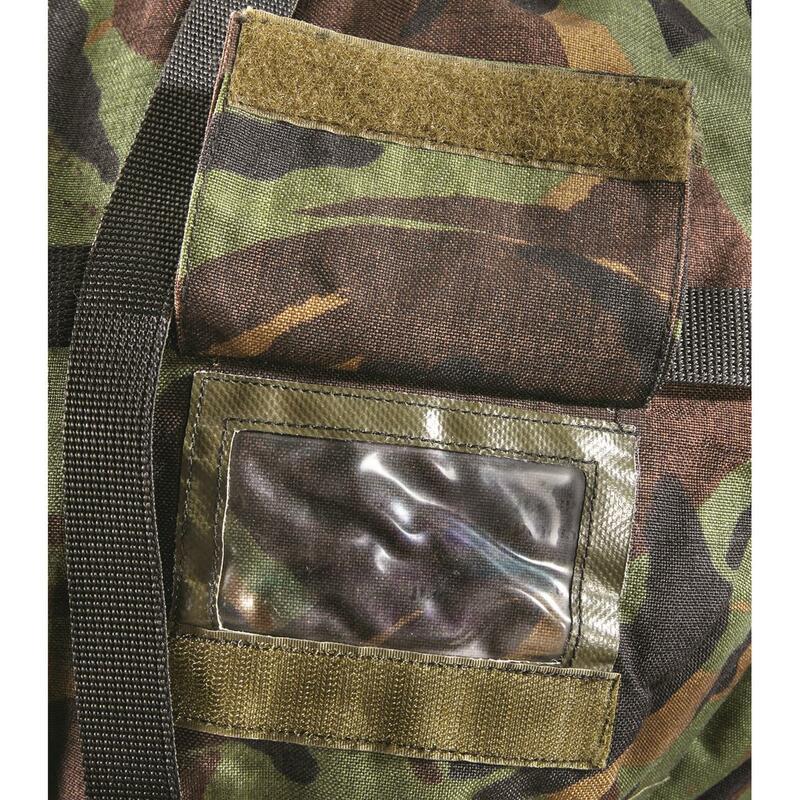 Increase your haul with this handy Compression Sack. 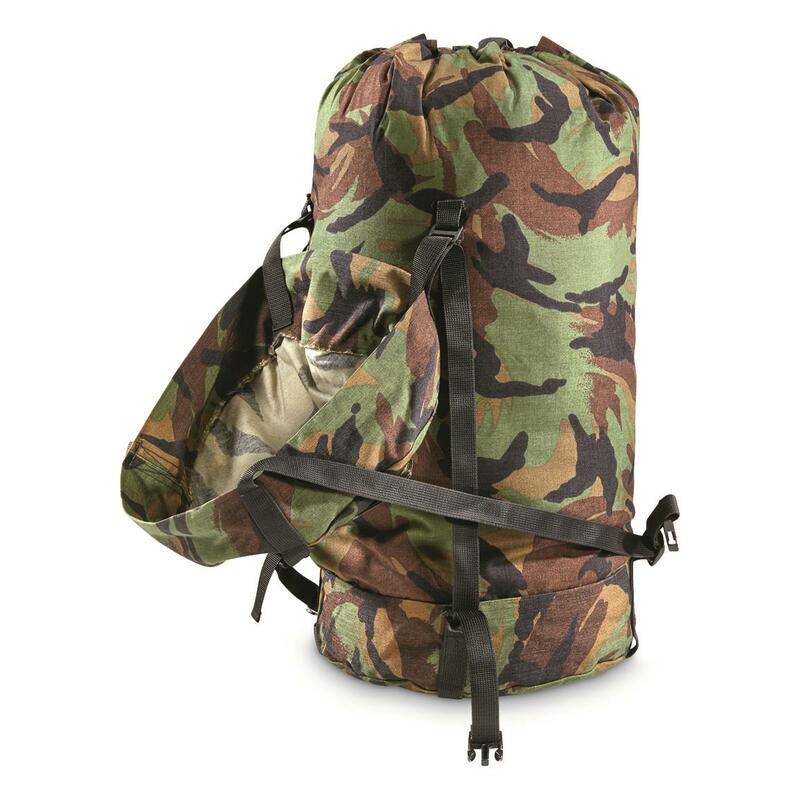 Perfect for storing a sleeping bag or clothes while taking up the minimum amount of packing space as possible. Water-resistant with a top cover to keep out dirt. Decked out in modern Dutch DPM (Disruptive Pattern Material). 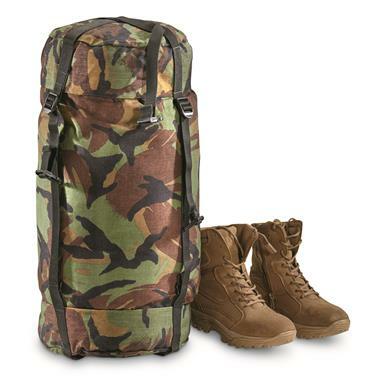 Dutch Military Surplus Compression Bag, Like New is rated 4.0 out of 5 by 1.